If you're not exactly sure what a Lead is, check out this article for more information first! There are a few ways you can create a new lead from the Web App. Click on the Add button near the top right corner of the page and click on Lead. Secondly, you can also create a lead from the Leads page by clicking on the blue Add Lead button. 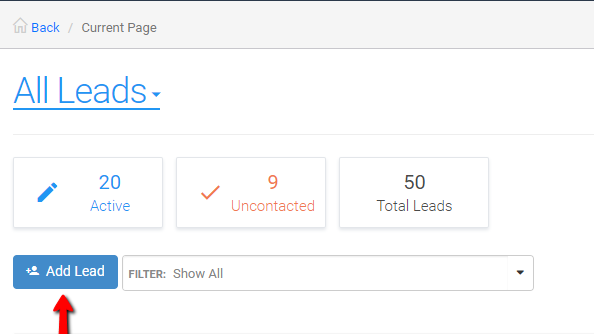 Now that you know the different ways to create a lead, you will then be prompted to add the lead information starting with the Customer/Contact name. 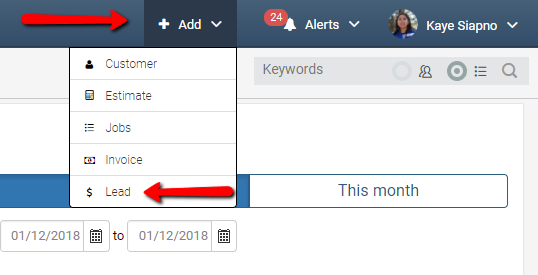 If you work with residential customers, you need only enter the first and last name in the customer field unless you'd like to add an additional contact (you'll have the option to do this on the next page as well!). The system will assume that the contact is the same as the customer name. On the other hand, if you work with commercial customers, the business name will go in the Customer field and your point of contact will go in the Contact name field. Once you've added the necessary Lead information, click on Next. Last but not least, don't forget to click on the Save button in the bottom right corner to save your changes!